Consumer Reports is no longer recommending Microsoft’s line of Surface PCs due to reliability concerns. The publication on Thursday said that new studies conducted by the Consumer Reports National Research Center estimate that 25 percent of Microsoft laptops and tablets will present their owners with problems by the end of the second year of ownership. Microsoft, as you know, is relatively new to the hardware game. As such, this is the first year that Consumer Reports has had enough data to estimate predicted reliability for its laptops. 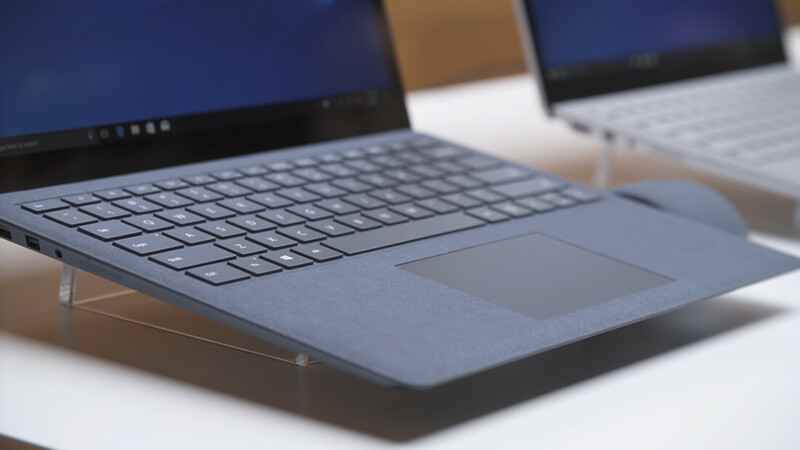 Consumer Reports specifically mentioned four laptops in its report – the Surface Laptop (128GB and 256GB versions) and the Surface Book (128GB and 512GB versions) – but said its decision applies to all Microsoft devices with detachable keyboards as well as those with conventional clamshell designs. The publication gauges reliability by surveying its subscribers about the products they use and own. In this case, Consumer Reports said the estimated breakage rate for Microsoft’s products was higher than most other brands’. The differences were “statistically significant,” we’re told, which is why Microsoft lost the “recommended” designation. Some survey respondents said they experienced problems with their devices during startup while others commented that their systems froze or shut down unexpectedly. Consumer Reports said others told them that the touchscreens on their devices weren’t responsive enough. In an e-mailed statement to the publication, Microsoft said its real-world return and support rates for past models differ significantly from Consumer Reports’ breakage predictability. The rep added that they don’t believe the findings accurately reflect Surface owners‘ true experiences or capture the performance and reliability improvements made with every Surface generation.